I am so excited to say that I successfully survived my daughter's year of first grade. After all that, we are on to second grade in the upcoming school year and I am so excited about what the year will hold! In case you didn't know, we home school our children and I love being their teacher. Sure, we have tough days but most of our days are amazing. 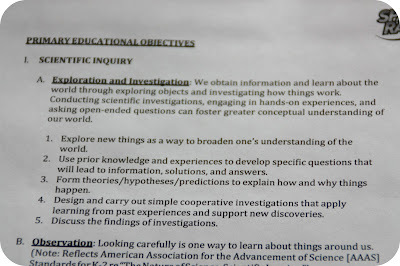 This year's curriculum will hold new subjects, with Science being one of them. I don't remember much from my school days in regards to science but I do remember some cool science projects that I did. Does anyone remember putting the celery into the red food dye water and watching the red dye be absorbed into the celery? That was one of my favorite experiments. I remember taking some really fun field trips too...one of them was to a local science museum where we visited the planetarium to look at the stars. Today, picking out the constellations is still one of my favorite things to do on a clear, starry night. I can still find most of them! 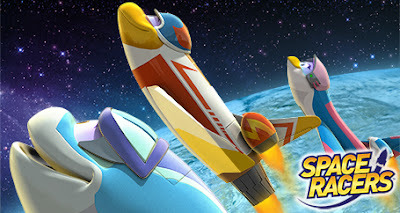 SPACE RACERS® is an original animated TV series that provides young children with exposure to key aspects of the science, technology, engineering and mathematics, or STEM, curriculum. Produced in collaboration with NASA experts, the series follows a group of talented young spaceship cadets at the Stardust Bay Space Academy. Kids will travel with speedy Eagle, strong Hawk, smart Robyn, brave Starling and competitive Raven as they soar through the Solar System learning about the power of scientific investigation and observation, the wonders of space exploration and the importance of working as a team. 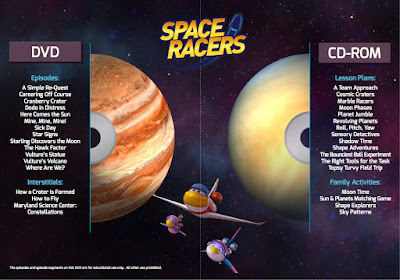 The Space Racers Parent & Educator’s Toolkit, developed in cooperation with WNET Education, includes a DVD with 13 animated episodes, 4 live-action segments, and a CD-ROM filled with corresponding Lesson Plans and Family Activities. These resources are ideal for kids in grades Pre-K through 3rd grade. These fun little rocket characters make education so fun, and now there is a wonderful Parent & Educator's Toolkit that you can purchase for $14.99. This toolkit contains so much...I can't wait to show it to you! 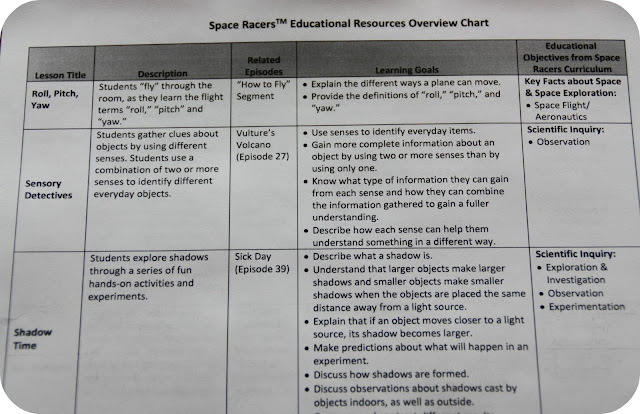 So, for this review I was sent a Space Racers Parent & Educator’s Toolkit! 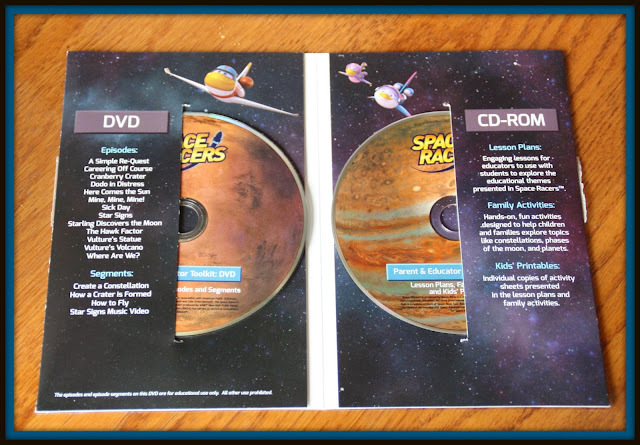 This toolkit contains two different discs...one is a DVD containing full-length Space Racers episodes, and the other disc is a CD-ROM that contains lesson plans, family activities and printables for the children. We don't have a TV here in our home, so if we want to watch something we use our computer. My children absolutely LOVED watching the Space Racers episodes. I wasn't crazy about the music though. Certainly it was captivating, but I found the music to be too much for my taste. Each episode contains cute and funny rocket characters that go on adventures, get into trouble, help each other and know how to have fun! With 13 episodes on this disc, there is much to learn and lots of entertainment to be had. There are also live segments that help children see how to do other things in relation to the science of space. My children loved watching these as well...especially the segment about making your own constellation! The CD is a wonderful resource for teachers, or for parents who want to have some one-on-one time with their children, learning about space! I love the lesson plans, they give some great ideas and they can coincide with the episodes on the DVD. 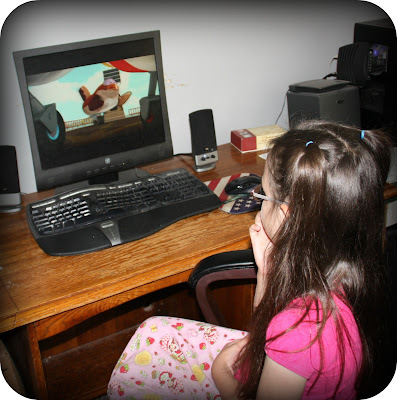 So, your child can watch an episode, then you can use the lesson plan to discuss what they saw and what they observed. I made this picture bigger so you can see an overview of some of the lessons that work in conjunction with the DVD episodes. There are also some neat printables found on this CD. 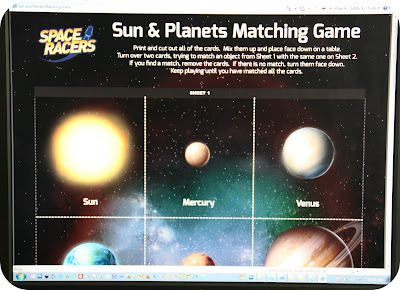 This one is a sun and planets matching game. You simply print out the screen and follow the directions. I love this family activity. What you do is look at the moon each night, and record what type of moon you see. I can really see our family doing this one together both now and when the children are older. Provided that the sky is clear, we have a fantastic view of the moon from our house. Some nights the moon looks so amazing, it would be great to record each phase. 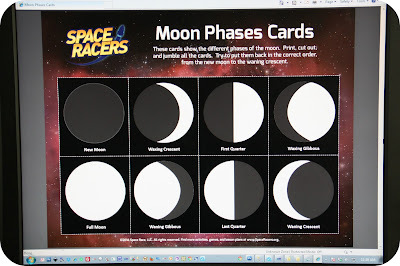 This chart helps children identify the different moon phases, how cool! I think the favorite printable on this CD was the constellations that were connect the dots. My 6 1/2 year old LOVES to do connect the dots and this was a perfect activity for her. She did great! And then, my just-turned 5 year old loved to try out his hand at connecting the dots! He is still learning numbers and will be starting kindergarten this year but he did so well too. 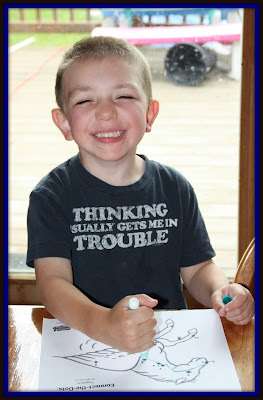 I was able to get my 3 year old involved in this activity as well, but he just liked to color the picture and didn't connect any dots...which was OK too. :) One thing my children really learned from this activity is how to identify constellations. They never even knew the word until now and I love watching them learn new things. We loved this kit and my children have really enjoyed watching the episodes. I would definitely recommend to anyone...home schoolers, teachers, parents, care takers, etc. It is a great resource that you will want to have on hand! Check out their online store, as well as their Facebook page too! Disclaimer: I received no monetary compensation for this post. I did receive free Space Racers products for review purposes. All quotes and stock photos are from the Space Racers website and email. Prize is being provided and shipped by the sponsor. This blog is not responsible for lost, stolen or damaged prizes. All thoughts and opinions are 100% mine. I really like that their is hands on material and also things to do on the computer. I like the visual aspect because my son is more of a visual learner. I like that my kids tv time would consist of something educational that I can pair with activities and lessons afterwards. 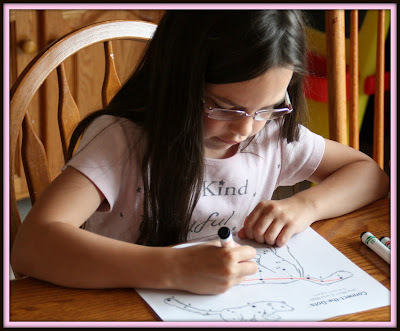 I love the hands on material and the FUN entertaining way to help my children learn. I like it has lessons that coincide with an episode of the dvd. I like that it was produced in collaboration with NASA experts. I also like that it makes learning fun. I really like the lesson plans, it'll make teaching easier!